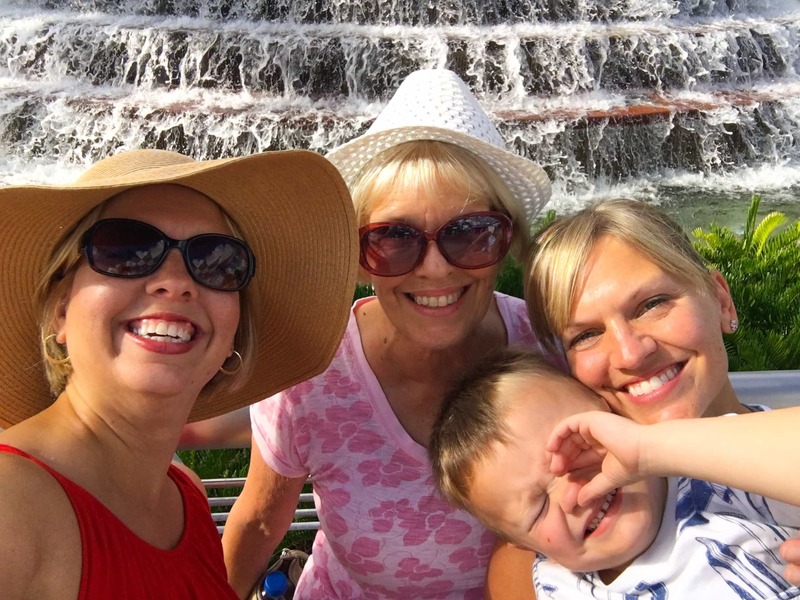 How to enjoy Epcot Food and Wine Festival when you’re traveling with kids. 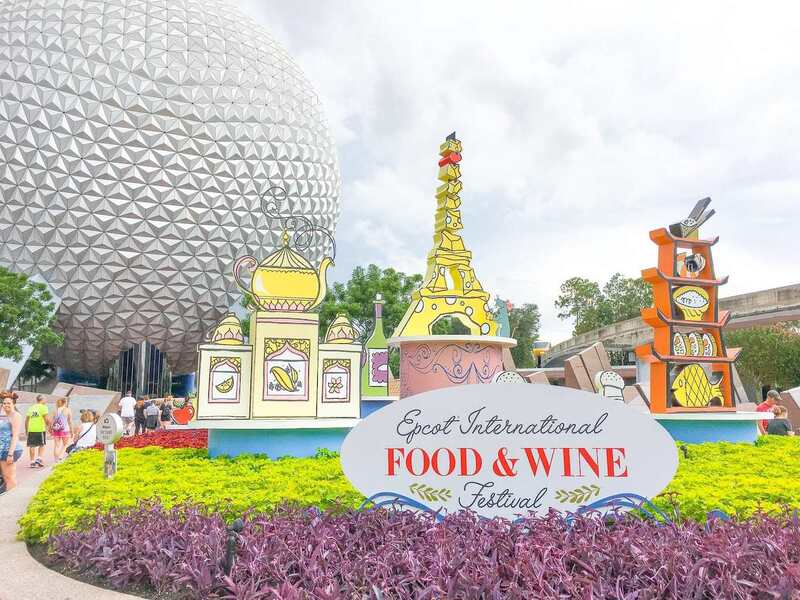 Epcot Food and Wine Festival is one of the most anticipated events at Walt Disney World every year. Check out our helpful tips for the Epcot Food and Wine Festival over at Orlando Date Night Guide. This year the festival is held August 30 – November 12, 2018. If you’re traveling with kids, especially toddlers or preschoolers, though, you might wonder if you can really enjoy a foodie paradise with a child. With a little planning, you can enjoy your foodie paradise even when traveling with a toddler than prefers Mac and Cheese or French Fries as their entire diet. Walt Disney World invited us out to enjoy a day at Epcot Food and Wine Festival, with complimentary theme park tickets. After a very hot and crowded day with a cranky preschooler, here’s our best tips and tricks for enjoying your time at Disney’s Epcot Food and Wine Festival with kids. Get there early! Try to get to Epcot as early as possible. Start enjoying the new food and drinks as soon as the stalls open. You’ll save time because the crowds will be less than later on in the day. Kids will be less cranky and tired early in the day, too. Plus, it’s a little bit cooler earlier in the day. 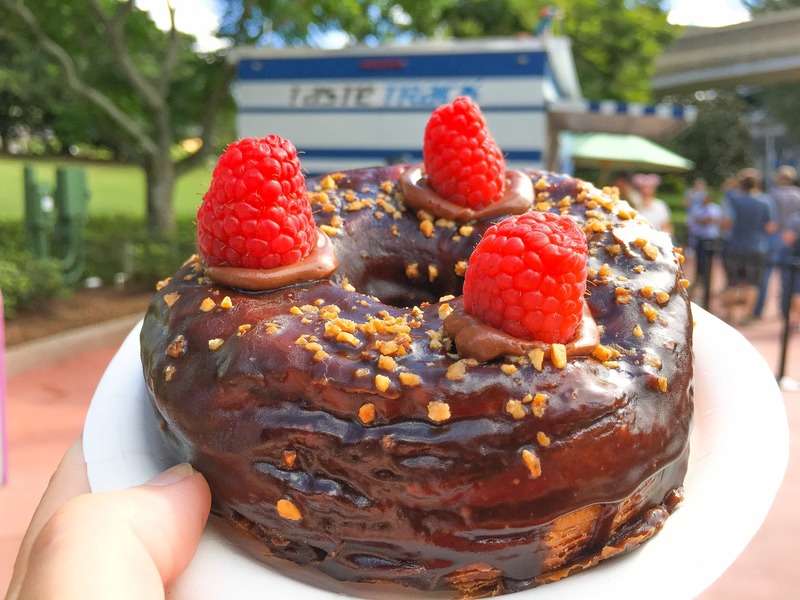 Look at Epcot Food and Wine Festival photos before deciding on what places to stop at. Carrie pulled up photos from our friends over at Disney Food Blog to see what each item actually looked like. Several times she decided not to pursue her first choice after seeing the size or presentation of a dish. Which saved us time and frustration. Be sure to look at the Epcot Food and Wine Festival passport before starting to walk around World Showcase. A great time to do this is when waiting in line for characters or another attraction. Bring a pen and mark which foods and drink you want to try or skip. 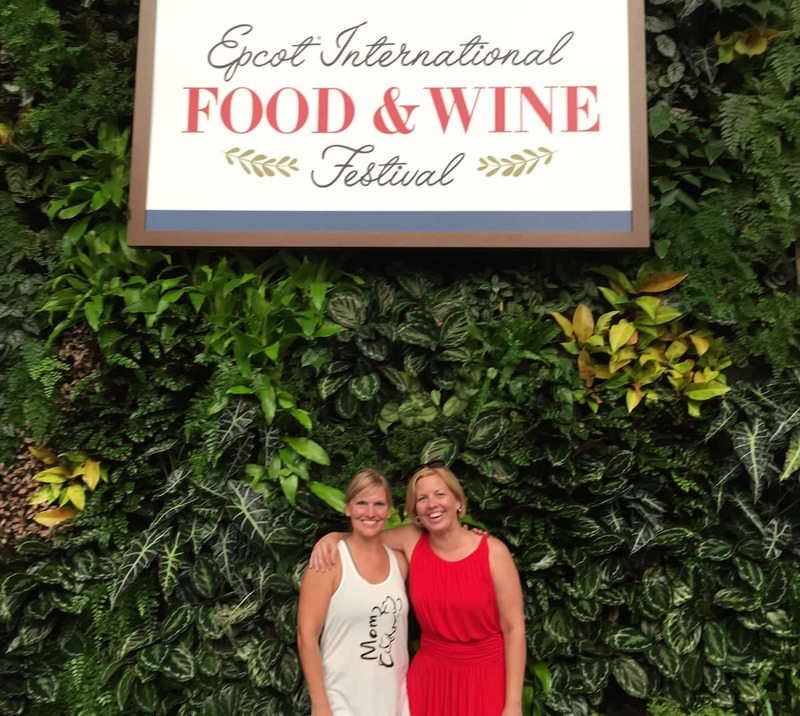 Epcot Food and Wine Festival can seem overwhelming. But if you narrow down your choices before you start walking through food options, it will be much less stress. P.S. 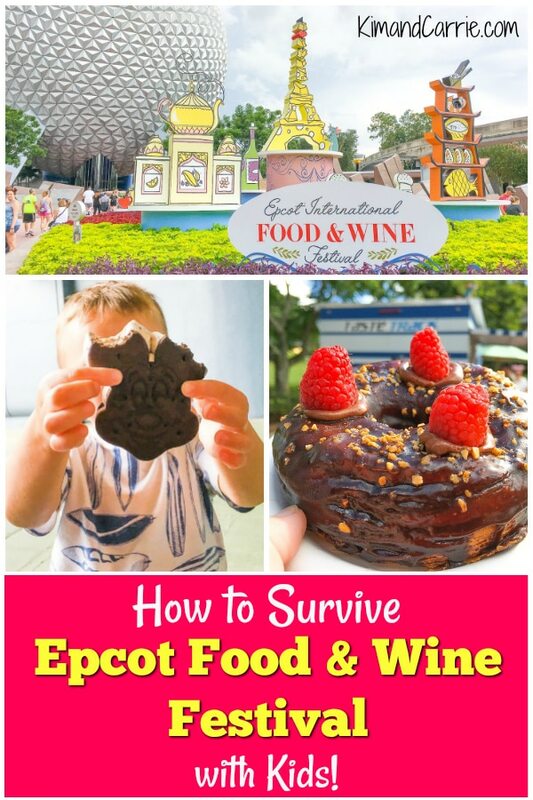 Get an EXTRA Epcot Food and Wine Festival Passport for each of your kids! There are stickers in them, which is a great activity for preschoolers! When buying food with kids, have someone stand in line to order all of the items while someone else goes to claim a table or seat. It can be difficult to find a table, seat or bench. Especially one that’s not in direct sun and has room for a stroller. Even if a table is not readily available, it’s better for someone to wait trying to get a place to enjoy your food rather than make the search with hands full of plates and cups. Keep in mind that adults are way more happy to try new food and drink than kids are. 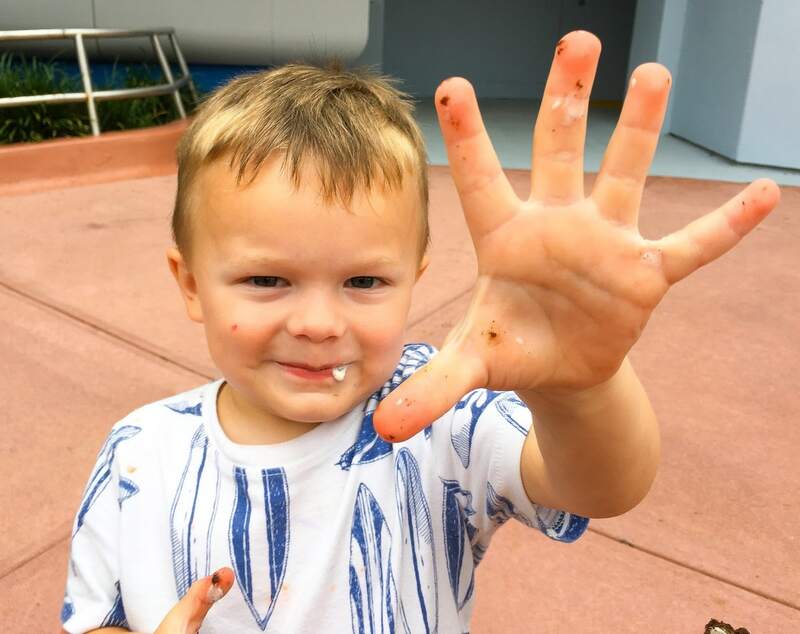 So while you are excited about eating new bites, your toddler could probably care less. Have their favorite snacks on hand to avoid a melt down around snack time in case they don’t like a new choice you bought. And don’t place too much stress on having them try new foods. It’s really all about you having fun as a foodie. Avoid weekends if possible when doing Epcot Food and Wine Festival with kids. If you’re a local, consider going at night during the week. If you are on vacation, consider visiting Epcot during the week instead of on a weekend. 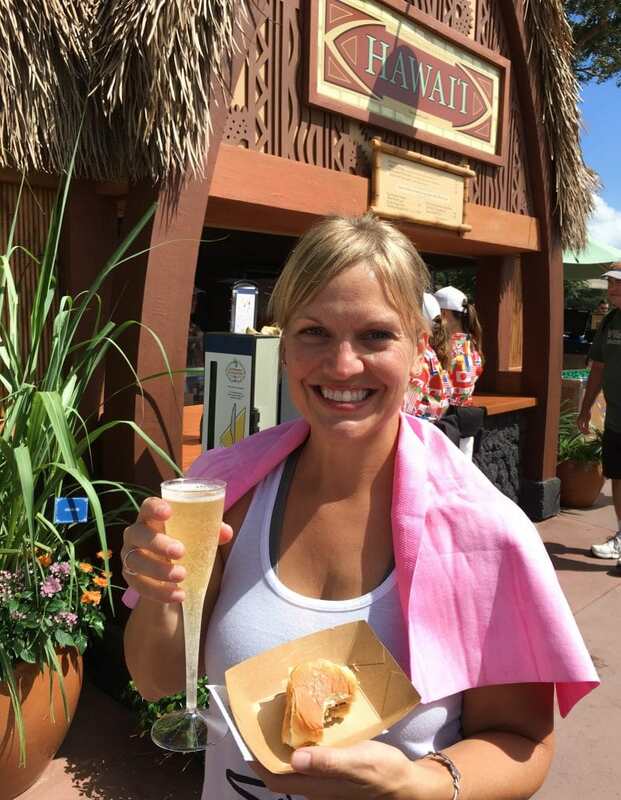 The temperatures can be HOT during Epcot Food and Wine Festival. Be sure to bring plenty of ways to keep cool. We had one of these water bottles for Disney that kept free ice water that we got from snack stands cold and icy for hours. Also, bring a cooling towel and portable fans. 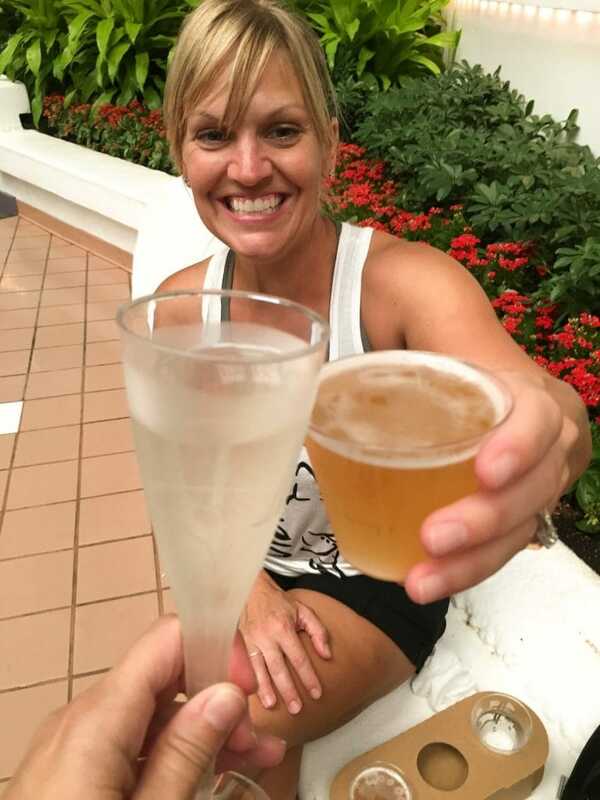 Keep your cool with kids and don’t try to do all of the attractions and all of Epcot Food and Wine Festival in one day. It can be overwhelming. If you are able, go to Epcot for half a day to just do rides and character meet and greets. Come back another day or afternoon and just focus on World Showcase and devote time to eating and drinking. 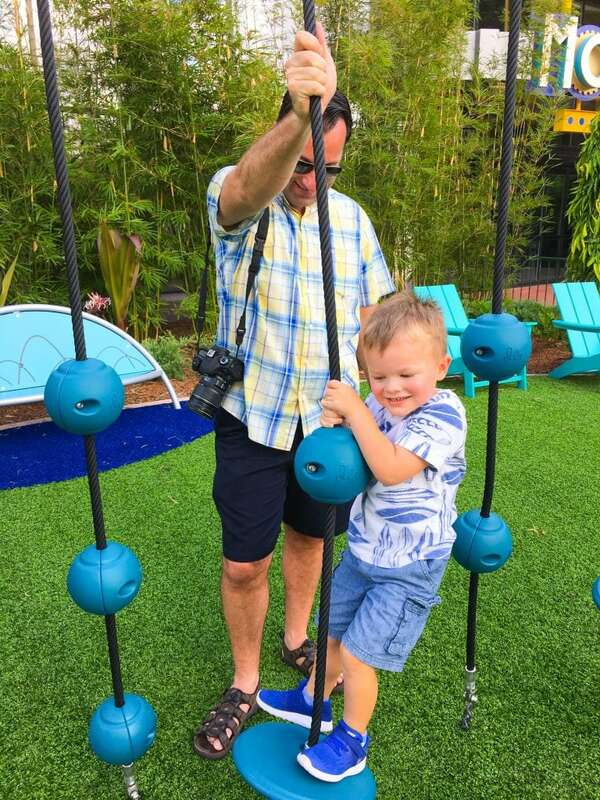 The Fun Zone playground is perfect for kids running off energy. And it gives parents a chance to sit down and recharge. Located right next to MouseGear, it’s also a great spot for one person to go shopping for souvenirs while the other adult watches the kids. We bought a donut from Taste Track and enjoyed it while watching Marc play. Kidcot Fun Stops are great places to keep little ones entertained throughout the day. 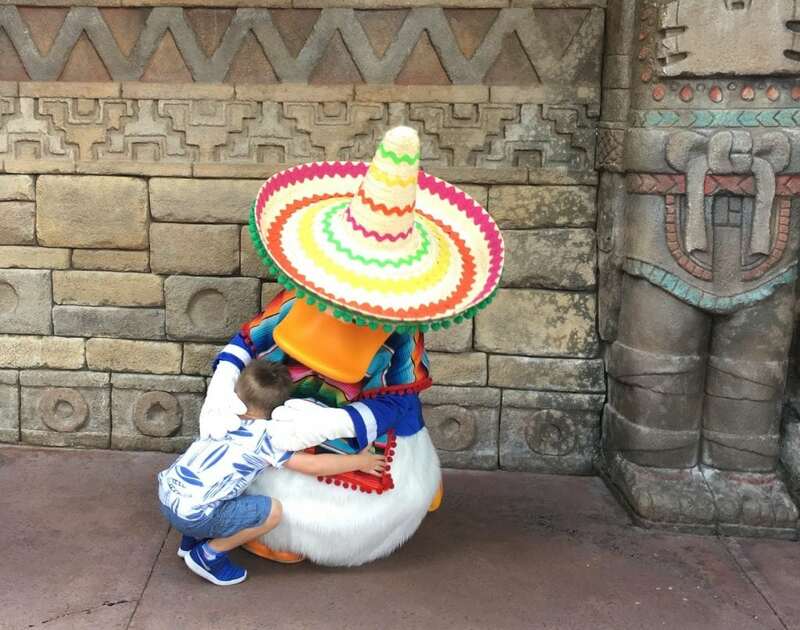 They’re ideally located throughout World Showcase so you can stop for the kids to enjoy their activities, then spend some time getting food and wine afterwards. The crowds in Epcot Food and Wine Festival build as the day goes on. The later in the day it gets, the more people that you’ll find in World Showcase. Use this to your advantage and visit the attractions in Future World later at night. Sometimes the classic foods are the best choices for kids. 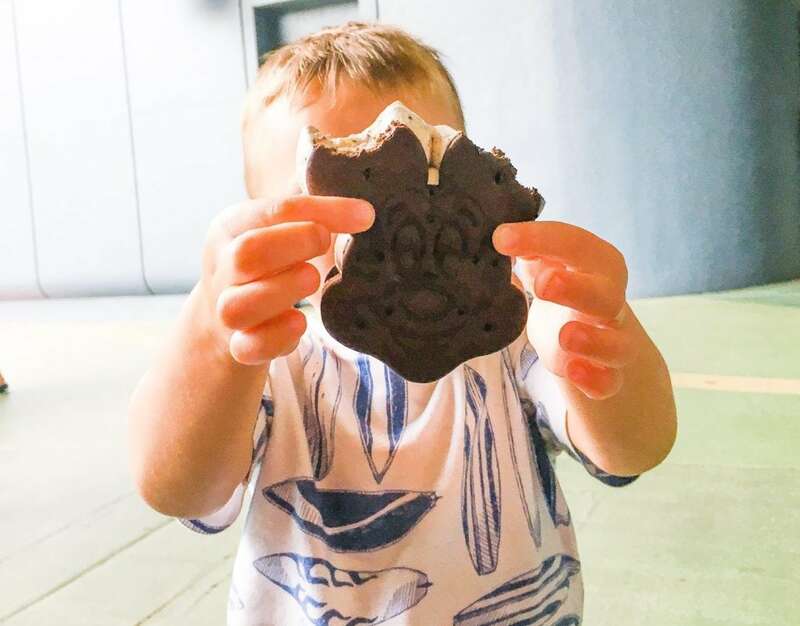 Marc was the happiest when he got to eat a Mickey Mouse ice cream sandwich. For toddlers, sometimes the chicken tenders and fries are their ultimate foodie goal. Are you an annual passholder? 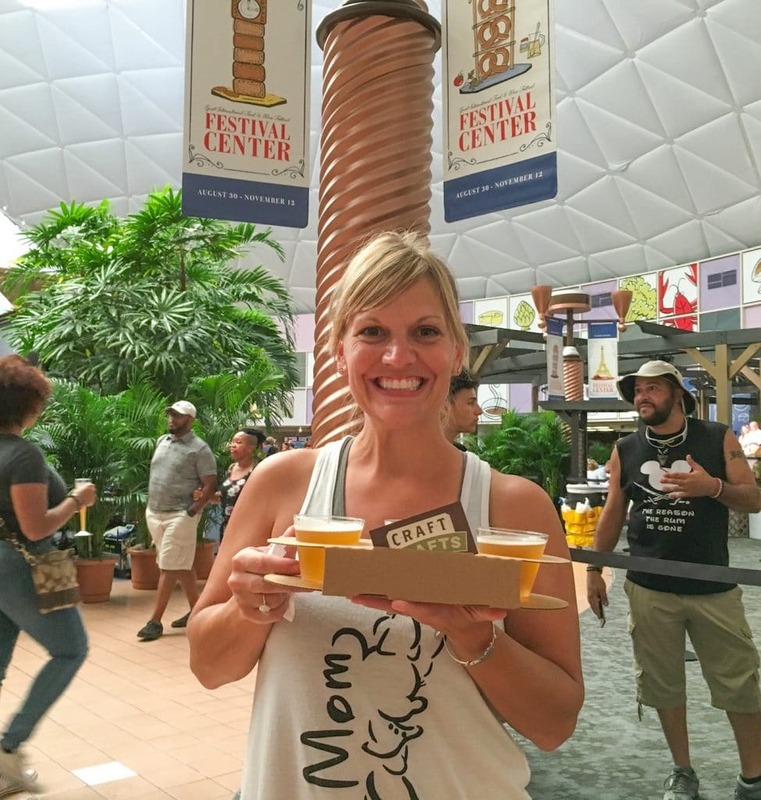 Want to claim your free sticker or cutting board from the Epcot Food and Wine Festival? The lines to redeem your free gifts can be long, especially on the weekends. Save the little ones a lot of stress from having to wait in line. 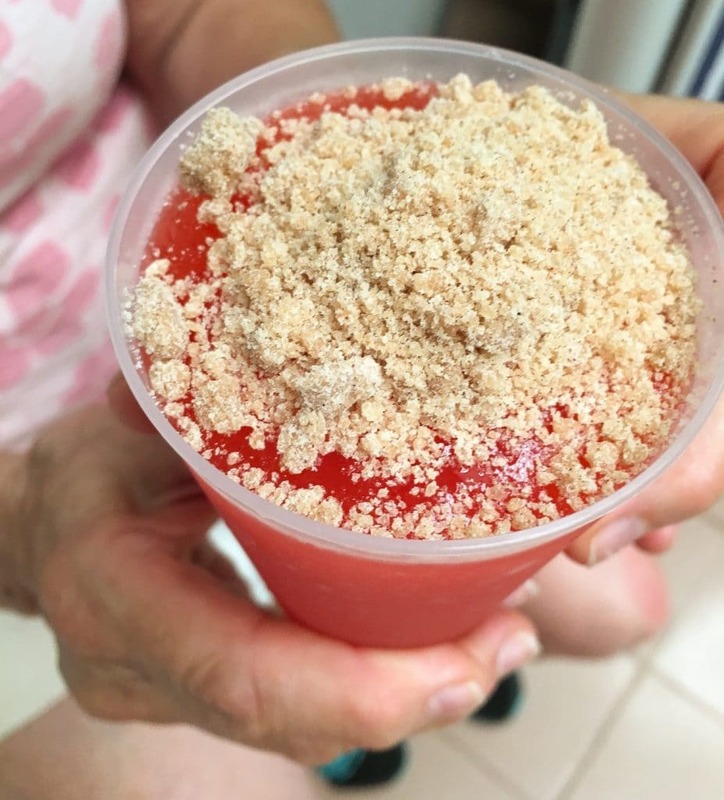 Have one member of your party go stand in line, while the kids and another adult walk around, ride an attraction or indulge in a few snacks someplace quiet and less crowded (such as the non-alcoholic Frozen Apple Pie drink, below, available at the Simmering Sips Mimosa Bar. Disney with kids can drive you to drink. Good thing there’s plenty of opportunities all throughout Epcot Food and Wine Festival. Carrie got a Craft Drafts flight. I got a Mimosa. Enjoying them in the air-conditioned Festival Center was just what we needed to get through the rest of the day with sanity. Beat the heat any time during the day with air-conditioned and spacious places for kids to enjoy. 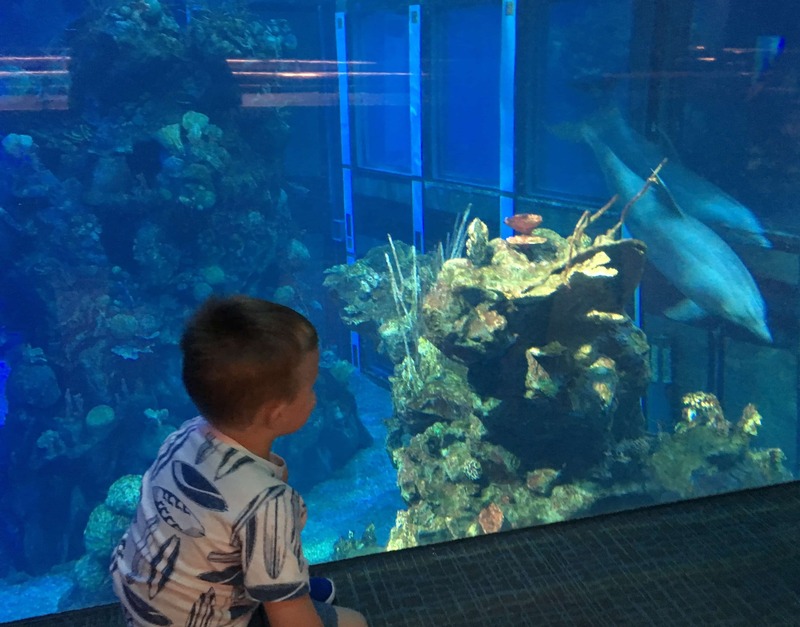 Living with the Seas is an excellent place for a toddler to run around, enjoy the aquariums and cool off. In World Showcase, The American Adventure is spacious and air conditioned. Grab a bench and listen to Voices of Liberty, or explore the museum. The half hour show is a perfect place for young kids to get rest when they are ready to sleep. 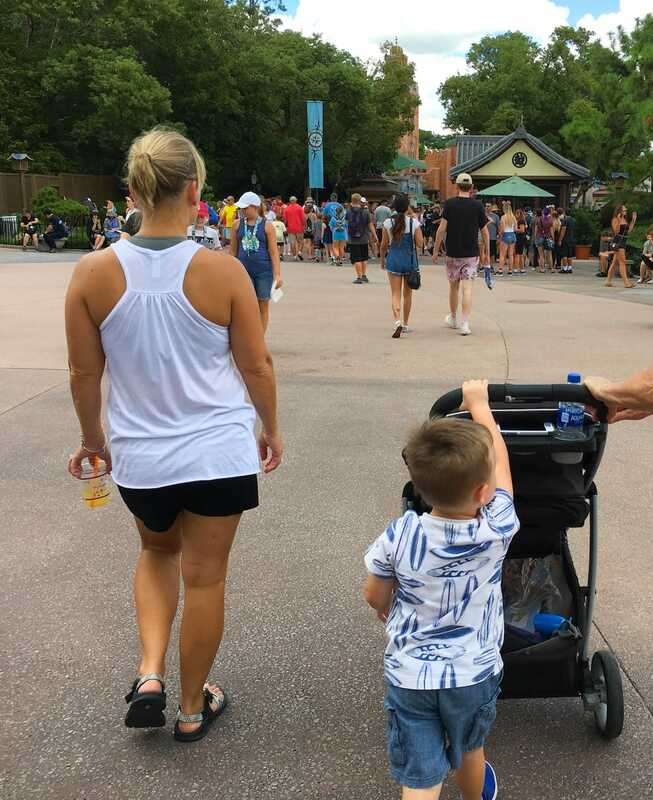 The Epcot Baby Care Center is an excellent place to recharge and cool off when traveling with toddlers and little ones. It’s surprising the amount of amenities that are in the Baby Care center. There’s a room with a TV playing kid-friendly movies. Toys and books to use. Get cold (or hot) water. Buy baby food. Do a diaper change or take time to sit on the potty with your toddler. This is your respite if you have a young child that you are at Disney with. Set a budget if you are worried about spending too much. Then you will quickly see how far it goes. Either bring cash or put an amount on a Disney Dining Gift Card. When the money runs out, it runs out. 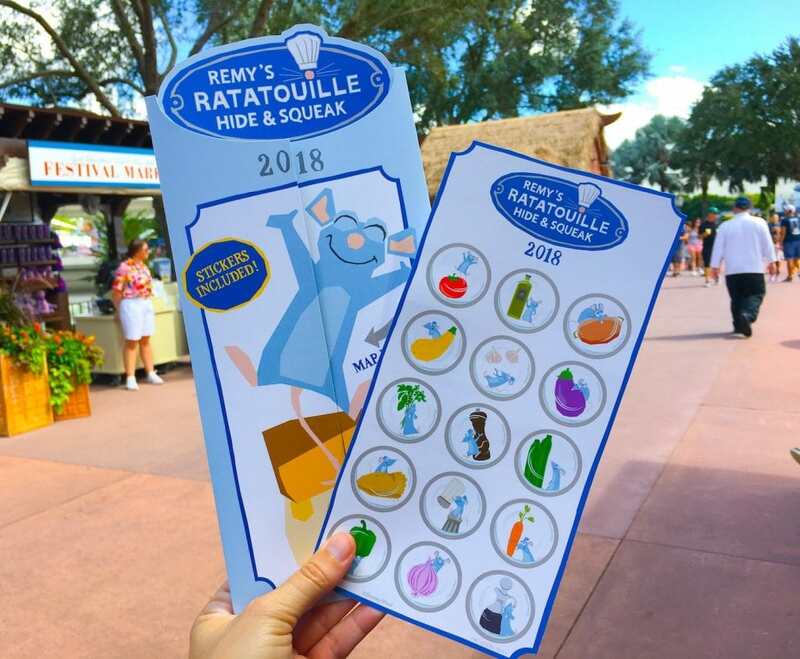 Remy’s Ratatouille Hide and Squeak scavenger hunt is fun. It can be great for kids. Or they could not care less (we found that to be the case after being overheated and too long of a day). 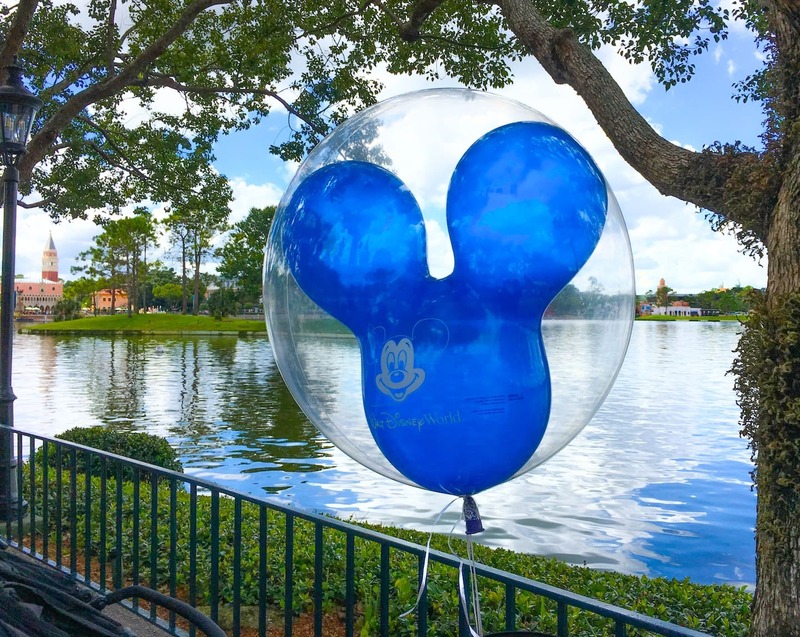 Good thing to know is that you can redeem your scavenger hunt for a free gift (one of 4 Epcot Food and Wine Festival plastic drink tumblers) without even doing any of the work. They stamp the back of the scavenger hunt to prove you’ve redeemed it. So you can keep the stickers for scrapbooking and not stress about completing the game to get your prize. Epcot has so much to explore any time of the year. Don’t be frustrated if you can’t see it all or walk around the entire World Showcase. Even if you’re only able to try a few dishes, it’s still fun to try new foods.